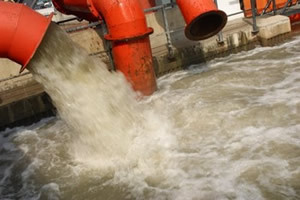 A metal finishing or electroplating facility that discharges process wastewater to a city sewer system (publicly owned treatment works, or POTW) is an indirect discharger and is subject to pretreatment standards. Although pretreatment standards are mostly based on federal laws, discharges to a POTW are regulated primarily by the POTW itself, rather than the State or EPA. In small municipalities, the State or Regional EPA may be the regulating agency (" Control Authority"). To determine which agency is your Control Authority, ask someone in your state environmental agencys water division. Use this locator to find the right person to contact. This locator also has links to state regulations. Proceed to the State Regulations Locator.